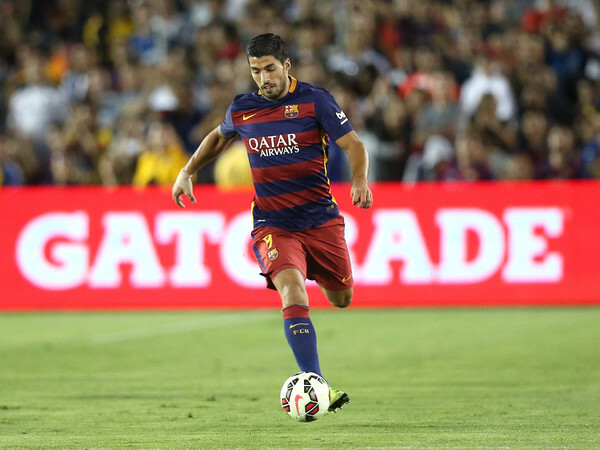 The start of the American tour for Barcelona in the International Champions Cup went well, beating the Los Angeles Galaxy 2-1 with goals from Luis Suarez and Sergi Roberto. Lionel Messi didn’t play and Neymar was missing as well, but Barcelona did showcase Suarez, Pedro and Ivan Rakitic in the starting lineup, while Andres Iniesta and Gerard Pique came on to play in the second half, with substitutions replacing all but one player on the Barcelona team. Both Steven Gerrard and Robbie Keane were on display for the Galaxy, but never really were never really able to produce long spells of dominance. Barcelona had 19 shots at goal while the Galaxy managed just six, and possession numbers, as you might imagine, were clearly in Barcelona’s favor (74-26). 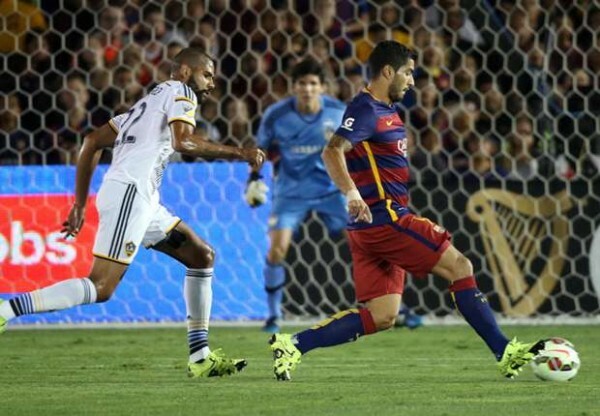 Suarez’ goal came just before half time, as the Galaxy defenders struggled in clearing a corner kick. Marc Bartra made a creative move by lobbing the ball with his back to the play, which put Suarez in an easy opportunity to score and put Barcelona in a comfortable lead before the break. More poor defending from Galaxy players in the second half and pressure from Barcelona youngsters resulted in Sergi Roberto, a player who has been waiting for his breakthrough for quite some time, scoring the second goal. In the 91st minute, Tommy Meyer pulled one back for the Galaxy, not really making a difference.